The NFL issued a second statement regarding allegations of soliciting prostitution against Patriots owner Robert Kraft Monday. The league's first statement stated they were aware of the case and were monitoring developments, but now they are awaiting all of the facts and will not interfere with the ongoing investigation. Kraft was charged on two counts of solicitation of a prostitute on Friday for his alleged role in a human trafficking ring. 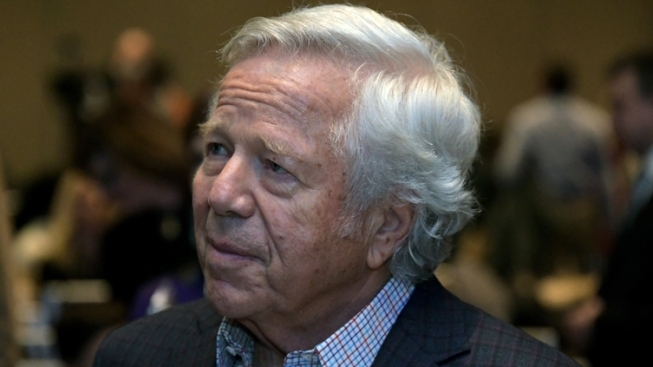 Kraft could spend a maximum of 120 days in jail based on his current charges. Kraft denied any illegal activity in his statement on Friday, but did not comment further due to it being a judicial matter. According to Mike Giardi, an arrest warrant is expected to be issued as early as Monday for Kraft on secondary misdemeanor charges.